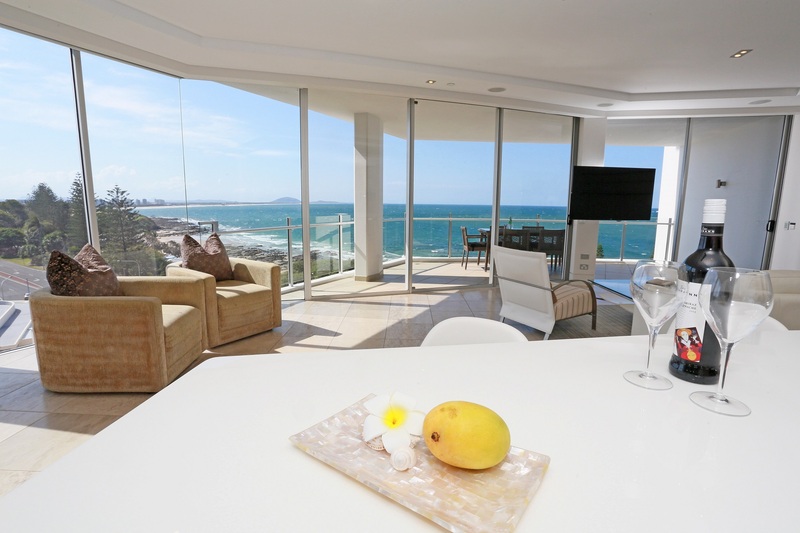 Mooloolaba’s only 5 star resort offers a new level of luxury on the Sunshine Coast. 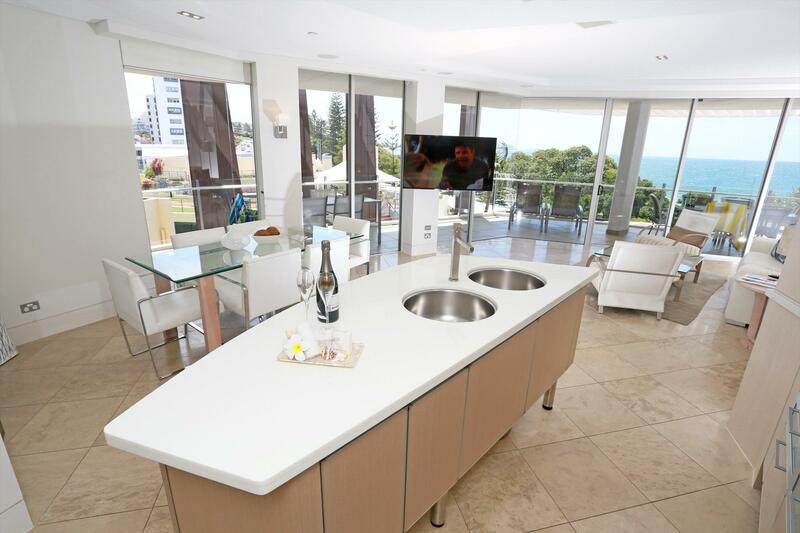 Set on Mooloolaba Esplanade, you’ll enjoy panoramic views of the ocean from your private balcony. Sophisticated & contemporary décor in a predominantly neutral palette with natural finishes creates a felling of calm, serenity and understated luxury. Ideal for family holidays and girls’ getaways, you’re centrally located to restaurants, cafes, boutiques and opposite the beach. 46 exquisite suites and penthouses encapsulate state of the art facilities, cutting edge, smart technology and design details that re-define the words style and quality. All 2 and 3 bedroom suites and penthouses have similar styling, colour schemes and interior design, yet have uniquely individual layouts to emphasise each apartment's changing light and seamless views. 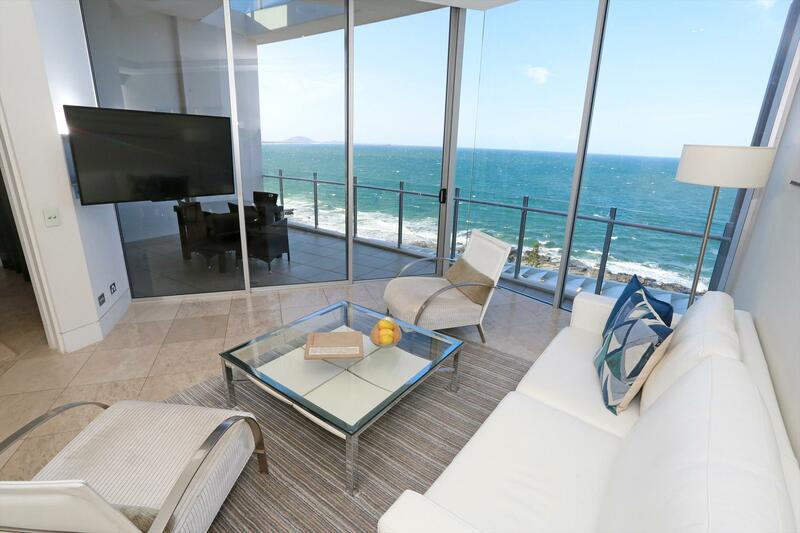 Horizon-wide windows dissolve boundaries and connect intimately with the seascape to capture 180 degree views across Mooloolaba Bay to Point Cartwright and north as far as Noosa. 3 bedroom deluxe & superior apartments are on levels 7 - 9 while the 2 & 3 bedroom suites are on levels 2 - 6. 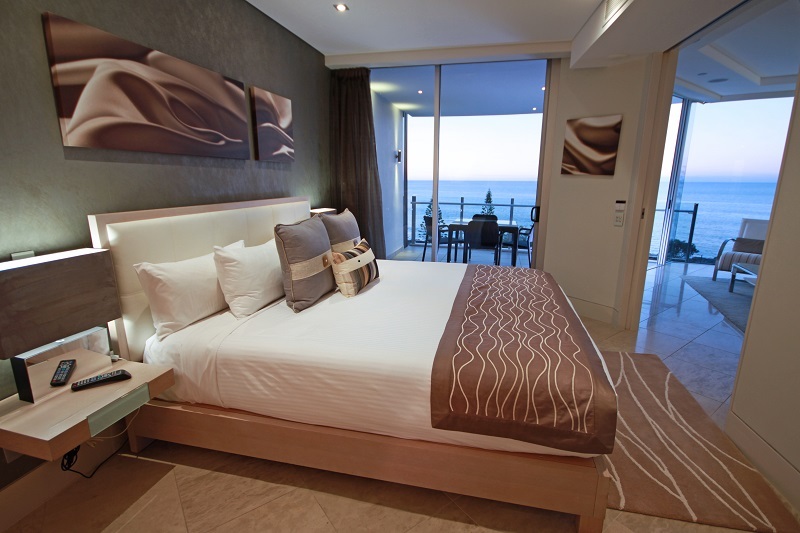 All rooms achieve the highest level of luxury accommodation. 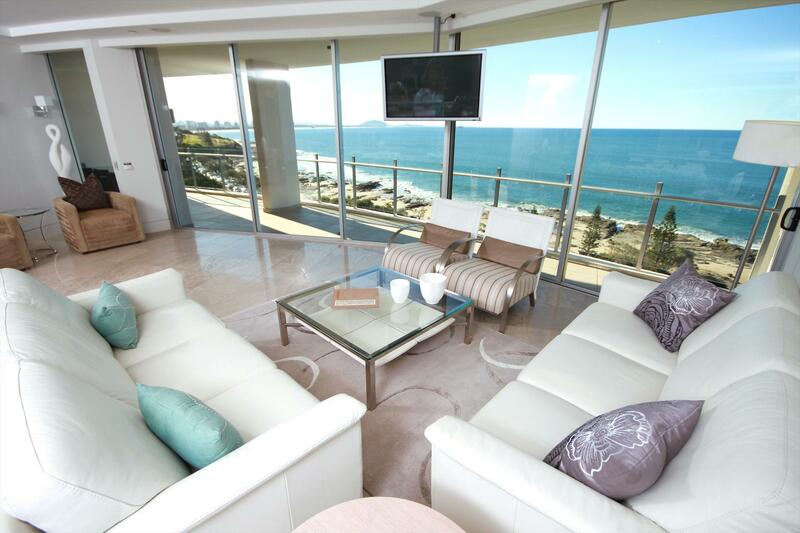 Guests will be required to provide an authorisation of a valid credit card on arrival. For late arrivals please phone ahead for instructions of check in. Maximum occupancy is 4. Bedding is 1 king & 2 single beds. Air conditioned with 2 bathrooms. Top floor apartment private rooftop with spa & bbq. Fully self-contained suites with non alcoholic mini bar, daily servicing & linen change every 3rd day.